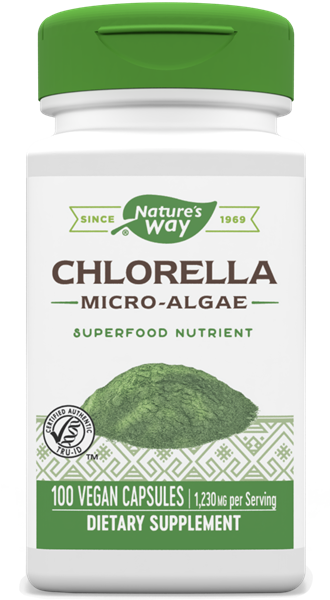 Chlorella / 100 Caps - Nature's Way®. Chlorella is farmed in environmentally controlled ponds. Chlorella (green micro-algae) cell walls have been cracked to ensure maximum nutrient availability and uptake in the digestive tract. Our Chlorella is farmed in environmentally controlled ponds. Take 3 capsules three times daily. If pregnant, nursing or taking any medications, consult a healthcare professional before use.